Email notifications can be used to alert specific people within your organization when a user completes a Profiler and gets a certain Primary result. 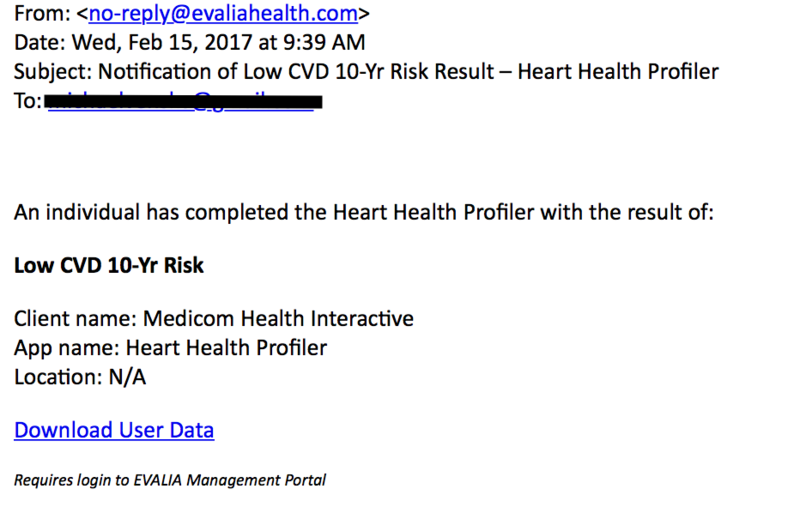 For example, you may wish to set up email notifications for members of your team who coordinate patient outreach when a user gets a “High Risk” result on one of your Profilers. 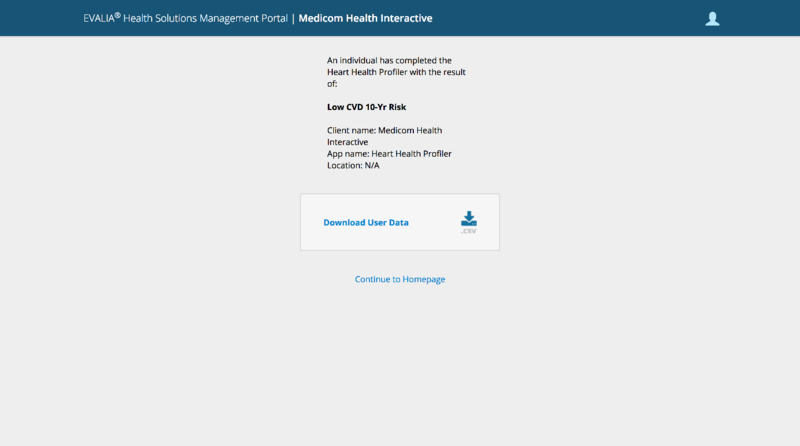 1) Go to your Evalia Health Solutions Management Portal and select the Follow Up section tab. 2) Select the Profiler you’d like to set up notifications for, and click the “Set up Notifications” from the Notifications section on the page. Alternatively, you can select “Edit” on the Notification section. 3) Fill out the information on the next page to match your specifications. You will need to select the risk level(s) you want notifications sent for, reports to send, and the emails of notification recipients. Select “+Add Email Address” from the bottom to add more than one recipient to each notification. 4) When you’ve saved your Notification(s), it will appear under the Notifications section on your Portal. From here, you can go back and edit, delete, or create new notifications. Recipients can then click the “Download User Data” link, which will take them to a page in the Management Portal where they can download a .csv file with the raw data for each specific user who completes the Profiler, including their primary results, biometric and demographic information, and contact information.